NO FLOOD INSURANCE REQUIRED! APPLIANCES TO REMAIN INCLUDING WASHER AND DRYER! OFFERING $5,000 TOWARDS BUYER'S CLOSING COSTS AND/OR PRE-PAID ITEMS WITH FULL PRICE OFFER ON OR BEFORE 4/15. 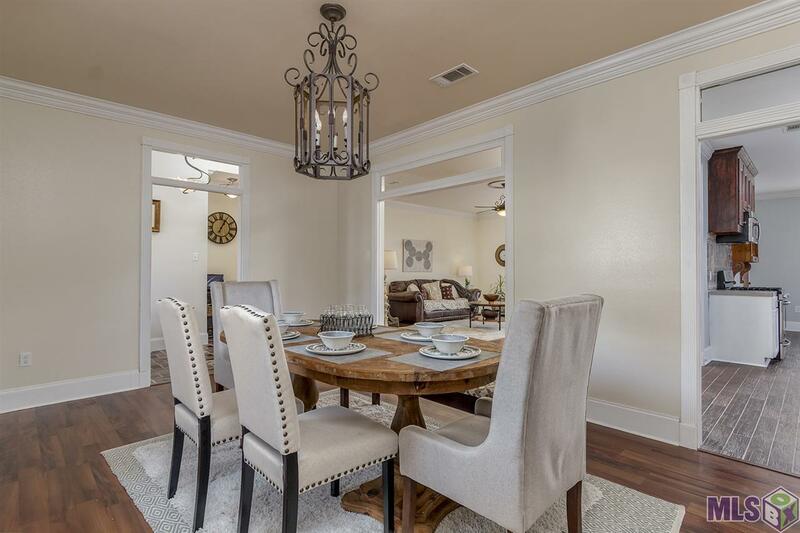 This immaculate remodel on a quiet cul-de-sac is ready for a new owner! Take a look and be amazed at this spacious, gorgeous home! With not one, but TWO en-suite baths, plus a third full bath, this is luxurious!!! Additional Features include: Hurricane impact windows, Porcelain wood-look tile in kitchen, Kichler Lighting, Transoms throughout, Custom built showers in master and hall baths, Brown Cellulose wall insulation, Rockwool Ceiling insulation, Travertine Tile and granite in baths, all wood bedroom doors, Old Dominion brick work, 2 car carport with proper support for easy conversion to a garage if desired (driveway can fit 4 addtl cars), ceiling fans throughout, Jetted tub in master bath, walk-in closet, dual vanity, gas stove and heat, built-in shelving in pantry, and so... much... more! Too much to list!